Used C-Arms For Sale. 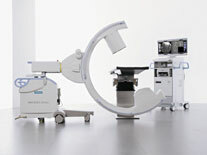 Refurbished, Pre-Owned & Reconditioned C-Arms at Reasonable Prices. Used and Refurbished Radiology Equipment and X-Ray Equipment, Used and Refurbished Diagnostic Imaging Equipment, Used Cath Labs, Used C-Arms, Used MRI Systems, Used CT Scanners, Used PET Scanners, Used Nuclear Medicine Equipment, Used Mammography Equipment, Used Fluroscopy Equipment and Used Cardiology Equipment. The 3D functionality of ARCADIS Orbic is best suited for intra-operative use in orthopedics and trauma surgery, such as 3D imaging of bones and joints of the lower and upper extremities, entire spine, hip, as well as maxilliofacial applications.